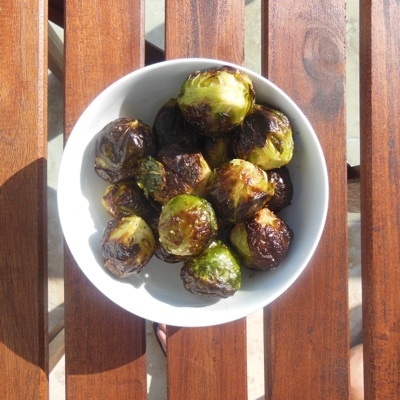 Throw brussel sprouts in a large ziploc bag or bowl. Pour 1 TBSP of oil for every 6 brussel sprouts. Season with salt to taste. Mix well. Bake for about 45 minutes or until nice and browned, shaking the pan every 10 minutes to bake evenly. Start keeping an eye on them after 30 minutes.